While negotiations on Greek debt continue to be mired in uncertainty, the Greek banking system is taking a daily pounding. And you can understand why. If Greek representatives were to suddenly walk away from the table and leave the Eurozone, the country would have to print its own currency (Drachmas), which would almost certainly be worth less against the Euro from day one. 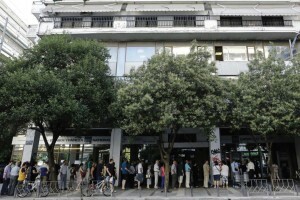 In order to pay its creditors, the Greek government might have to keep the presses working overtime, which means that the poor Greek citizen who left his money in a Greek bank would watch helplessly as his Euros were automatically exchanged for a currency that would be at least 30% less valuable. Better to take the Euros out now and keep them under the mattress until the negotiations work themselves out. This may be a wise strategy for individual Greeks, but it’s terrible for a banking system that relies on deposits in order to make loans and, more basically, remain solvent. Meanwhile, Greek negotiators are trying to stave off German demands for austerity, arguing that the country has already experienced the worst recession in Eurozone history, and stocks have fallen to roughly the level they were at in 1990. If the past five years of austerity has produced this kind of results, they argue, then perhaps a different strategy is in order. The banking situation has complicated these negotiations, since international observers now believe that the banks may need an infusion of as much as $27.5 billion to remain solvent—before the next day’s lines at the ATM machines. That means negotiators are now talking on two fronts; debt relief and recapitalization of the lending system that is the nerve center of any economy. Will you be affected? 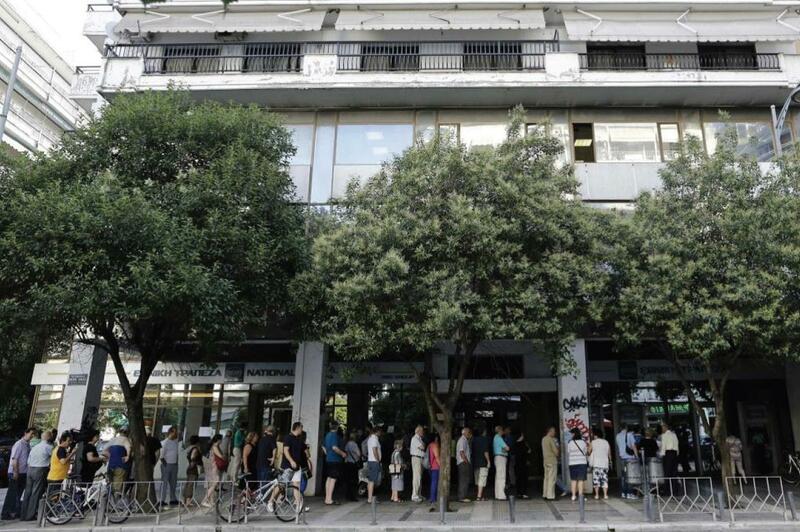 For most U.S. investors, the Greek tragedy is simply a spectacle to tell your grandchildren about. Greece will survive, eventually the money will come out from under the mattresses, and Europe as a whole might find a way to be more accommodating when one of its own gets into financial trouble.